Get in front of more than 1,000 public media professionals across the country! 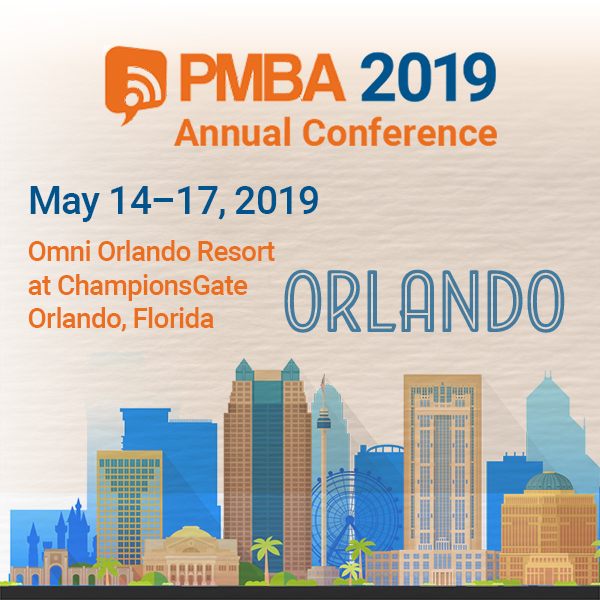 PMBA Statements is a curation of important news and articles, as well as original content from PMBA, that affects everyone in the industry. It is sent out biweekly throughout the year. 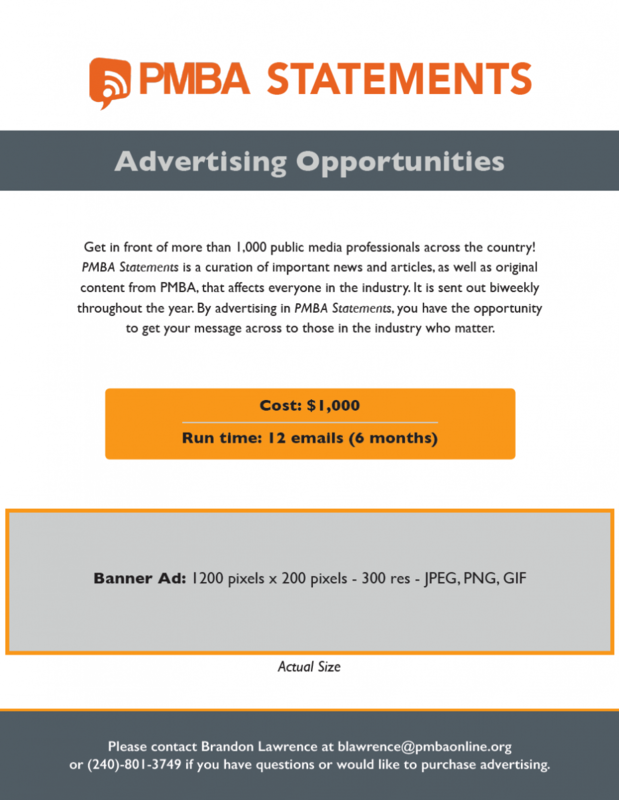 By advertising in PMBA Statements, you have the opportunity to get your message across to those in the industry who matter. Click here to download the Ad Sheet.